"the lead singer can sing marvelous notes in low and high octaves"
Formed in 2012 and, Black Income is a Danish Alternative Rock Band that comes out of the 90’ - Grunge and Hard Rock scene praised by the critics from all over the world for the latest album “Noise Pollution”. Black Income describe themselves as "a new rock identity rooted in the waters of the grunge genre". Their lyrical expression comprises honesty and realism, and originality is said to be what drives the band, though artists such as Queens Of The Stone Age, Fu Manchu, Alice In Chains, Soundgarden and Stone Temple Pilots inspire them. 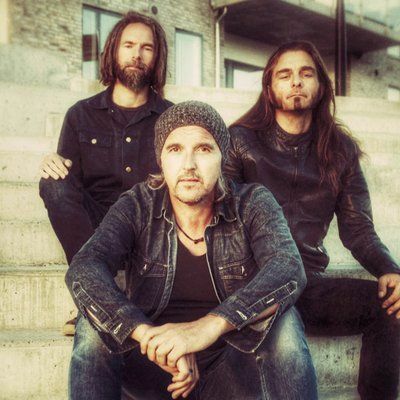 After only one year together, in 2013, Black Income teamed up with producer Soren Andersen (Glenn Hughes, Mike Tramp, D-A-D) and entered the legendary Medley Studio in Copenhagen, where bands like Radiohead, D-A-D, and Kent has recorded some of their best albums. In 2016 the album ‘Noise Pollution’ was released, it's twelve hard-hitting and extremely well-written rock-tunes with a focus in the riff and the catchy melody, from the guys who are smitten by the melodic grunge of the 90’s. Without repeating the history, Black Income brings a new dimension and a new level of the genre! The Debut album ‘Noise Pollution’ tells the story of a world in chaos, where everybody knows best and doesn't listen to each other. A World where shouting out your own views and opinions while being deaf to other people – That’s Noise Pollution! The lyrics are about the massive impact the social media has on us and about the materialistic world we all are a part of. It’s about true feelings of love and hate. After some years of touring with their latest album “NOISE POLLUTION”, in 2017, the band once again has entered the legendary Medley Studio in Copenhagen with Soren Andersen and started recording their second album, to be released summer 2018. Now the first single and video “Feels Like A Storm” is released the 10’th of November 2017, and after that, there is even more to come. As the name of the band suggests, there's an undercurrent of sarcasm and black humor in their brand of hard rock, as demonstrated by Noise Pollution, their debut LP from 2016.